Are Food Trucks a Good First Commercial Real Estate Investment? The street-food business, which includes food trucks, is a $1 billion industry that grew by 8.4% between 2007 and 2012. Between 2010 and 2015, the food truck sector of the business experienced an even higher growth rate of 9.3%. However, despite the sector's boom, investing in a food truck may not be for everyone. A food truck is a good first commercial real estate investment for people who know food and can manage the expenses and develop a solid business plan. Why should a person invest in food trucks? Food trucks offer opportunities for entrepreneurial people who love food but find the cost and risk of opening a restaurant to be prohibitive. According to a respected study, 25% of new restaurants fail in their first year while 60% fail within three years. This is because, unless a restaurant is backed by investors and features a high-brow concept, it is difficult to build a solid customer base. Moreover, opening a restaurant can be extremely expensive, with costs ranging between $250,000 and $500,000 for rent, staff, inventory, utilities, etc. By comparison, a food truck costs much less to open. The biggest expense is the truck itself, which can range in price from $15,000 to $100,000. Staff salaries may also be a factor, but with 78 percent of food truck owners employing four or fewer people, this should not be a huge expense. 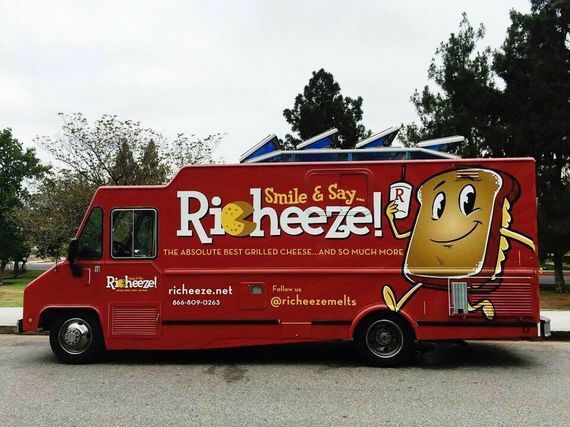 Food truck owners will also need to pay roughly $10,000 in licensing fees, $2,000 to $4,000 in annual insurance coverage, $400 to $800 per month for commissary, a few thousand in licensing fees, and a few thousand in initial inventory. Altogether, the cost of opening a food truck ranges from approximately $25,000 to $115,000. How profitable are food trucks? Food truck owners typically sell food priced between $8 and $10. A gourmet food truck may charge more, but a food truck's goal is to feed people relatively inexpensively. Determining how profitable a food truck can be depends on the owner's business plan, which should incorporate information on where the truck will be located, the approximate amount of people in the area at the time the truck will operate, the percentage of those people who will buy from that truck, and a variety of other considerations. Based on these factors, food trucks can generate anywhere between approximately $50,000 and $200,000 in annual revenue, and 50 percent do bring in at least $200,000. Should investors know how to cook? Many investors in food trucks are chefs or cooks. Knowing how to cook the food one's truck will offer reduces costs, as it negates the necessity of paying a chef's salary. Additionally, because typical food truck entrepreneurs spend many hours each day running errands or securing ingredients for their truck's operation, knowledge of cooking helps ensure that the truck has the proper foods and supplies. As the former Communications Director for SOMA StrEat Food Park put it, one enters the street food business "because [one's] passionate about the food." But a successful investment in such a business depends even more on knowing how to gauge the market. It's been suggested that food truck entrepreneurs spend time studying the market so that they can plan a menu. They should consider which foods are popular in their city, which ingredients are easy and cost-effective to purchase from local wholesalers or markets, what can be cooked or heated up without much difficulty, and what foods customers can easily carry away from their truck. The originality of one's recipes can also be a factor, as a new entrant into the food truck scene does not want to serve the same food that is offered by other trucks, especially if this entrant plans to sell at festivals or other locations where food trucks gather in masses. Food trucks are a great first-time commercial real estate investment for people who know food and are passionate about preparing it for others. Their mobility allows for trying different markets while their lower cost makes it easy to make a relatively cheap investment in a commercial property. However, because food trucks require lots of time and energy to run, investors looking for less involvement in the day-to-day operations of a property should probably look for more attractive opportunities elsewhere.